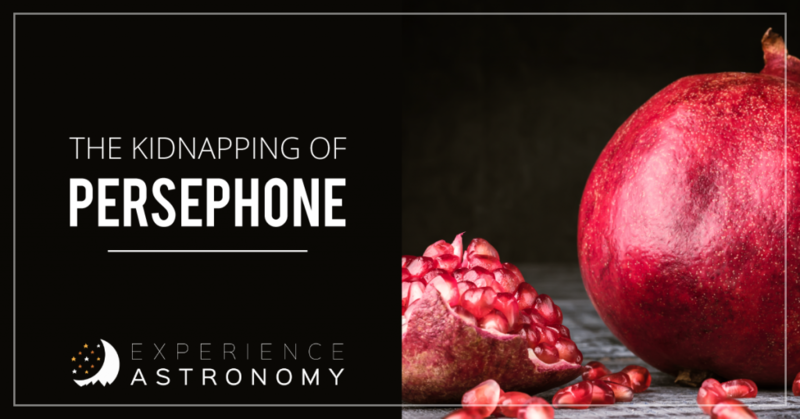 In Greek mythology, Persephone was the daughter of Zeus, the god of gods, and Demeter, goddess of the harvest. 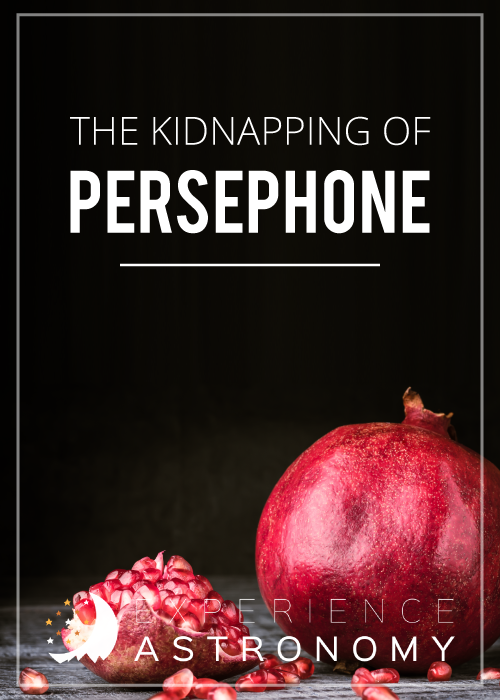 Persephone was so pretty that not only did her parents adore her, but everyone loved her. But there was one problem with that: the evil Hades wanted her beauty for himself. One day when Persephone was out gathering flowers. As she did, she thought how her mother would love a bouquet. Suddenly, she heard a great rumbling from the ground. As she looked up, she saw a dark figure riding a chariot pulled by four black stallions with red eyes and flaming nostrils. It was Hades, god of the Underworld! She screamed as he grabbed and took her to his dark realm. Only one person saw the evil deed take place. The sun god, Helios, had been sitting on his shiny perch and saw all that happened upon the face of the earth. When Demeter noticed that Persephone was missing, she wandered the earth looking for her daughter, but in vain. Eventually, Helios, went to Demeter and apologized for not having the time to tell her sooner, but told her that he had witnessed Hades kidnapping Persephone. Demeter was so angry she hid herself in grief. All the plants, flowers, and crops died. The earth grew no food for the animals. Soon winter came, and with it cold and snow. Finally, Zeus sent Hermes, the god of business and travel, down to Hades to make him set Persephone free. Hades grudgingly agreed, but before he set her free, he tricked her into eating a poisoned pomegranate. She ate seven seeds, and in so doing she was bound to the underworld. Zeus was not happy Hades had tricked Persephone into eating the pomegranate. Zeus offered a proposal: He suggested Persephone live in the Underworld for four months of the year, with her mother, Demeter, for the next four months, and then alone for the other 4 months of the year. Surprisingly, Hades agreed to Zeus’ proposal. Demeter was happy that she would see her daughter again, but in the summer she would have long days of sun to warm her daughter in her loneliness. In the winter, when Demeter knew her daughter was in the Underworld, she let the plant life on earth die too. Then, when she saw Persephone in the spring, she let everything grow with new life again in celebration that Persephone was home! This article is by Keagon, age 13, an Experience Astronomy student from Centralia, Washington.